*Area, Population and Density rankings refer to Castleton’s relative position among Vermont’s 255 civic entities (9 cities, 242 towns, 4 gores and grants). Complete rankings are here. The name is as unusual as it is pleasing to the ear. There is none other in the New England states, though there is a Castleton-On-Hudson in New York. Considerable fiction has been written about the name, most often attributing it directly to having been named for one of the original grantees. The problem is that there wasn’t anybody named Castle among the grantees. It seems most probable that Castleton was chosen for its pleasant and prosperous sound, but also may have been in honor of a Castleton (or Castletown) in England, all of which may have been familiar to Benning Wentworth and the grantees. Early on, it was often referred to as New Cheshire because many of the early settlers had come from Cheshire, Connecticut. There was some talk about changing the name officially, but the idea came to nothing. During the early years of the American Revolution, Vermont’s Castleton was an important frontier outpost. The village itself was the rendezvous point for Ethan Allen and the Green Mountain Boys before the capture of Fort Ticonderoga in May of 1775; Hessian troops were briefly headquarted here after the Battle of Hubbardton in July of the same year. In 1778-1779 Fort Warren was built on a promontory overlooking the road from Hubbardton to the north, part of a defense line for the northern frontier; it was named for Colonel Gideon Warren of Tinmouth, commander of the Fifth Regiment of Vermont Militia at that time. 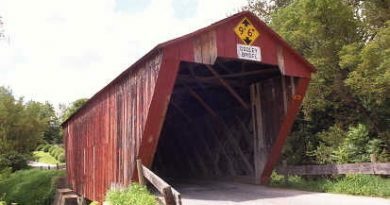 Castleton has a half-dozen villages that grew up as separate entities. Castleton village has always been the chief community. 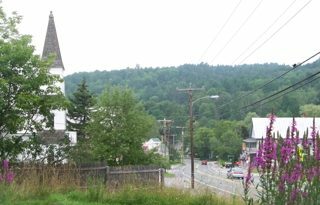 The main street is lined with beautiful homes of the Federal period, many of which are the work of Thomas Dake, Vermont’s noted designer-builder. Just west of the village was born Edwin L. Drake, who is considered to have been the father of the American oil industry, because of well-drilling techniques in which he pioneered and his participation in the drilling of the first US oil well. Hydeville, a small village at the southern tip of Lake Bomoseen, is named for the Hyde family, descended from the founders of Hyde Park. 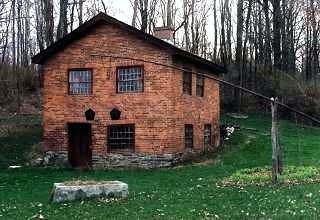 A. W. Hyde was born at Hyde Park in 1779 and moved to Castleton as a youngster. In later years he dealt extensively in marble and slate, and operated two stage lines, one from Troy, New York, to Burlington and the other from Rutland to Whitehall, New York. Some years after the railroad was built, Hyde was killed by a train at the crossing near old Fort Warren. Lake Bomoseen is a popular summer recreation area. 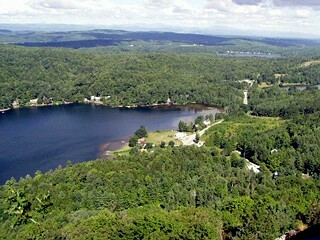 In the center of the lake is Neshobe Island, about ten acres in size. In 1881 an event there sponsored by the Rutland Historical Society drew some ten thousand participants. The island became known in the 1930’s as the summer home of such notables as Alexander Woollcott and Harpo Marx. The Rutland County Grammar School, which evolved into Vermont Classical High School, Castleton Academy, Castleton Seminary, Castleton Normal School, Castleton State Teachers College and, since 1961, a comprehensive state college, was chartered by the General Assembly of the Republic of Vermont in 1787. It is Vermont’s first college, and the 18th oldest college in the nation. Castleton Medical College, 1818-1862. First medical college in Vermont.